. Shootoku Taishi 聖徳太子 Prince Shotoku Taishi (574 - 622) . The hall had been erected by 賢恵僧都 priest Kenkei around 1350. 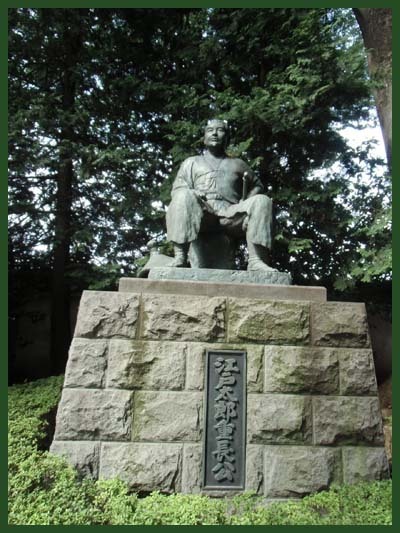 He had installed a statue of Shotoku Taishi carved by 弘法大師 Kobo Daishi. He also installed a statue of 十一面観世音 Kannon Bosatsu with 11 heads, now the main deity of the temple.
. Kobo Daishi, Kukai 弘法大師　空海 (774 - 835) . In 1925, the Seijoo Gakuen 成城学園 Seijo University was moved here, hence the name. 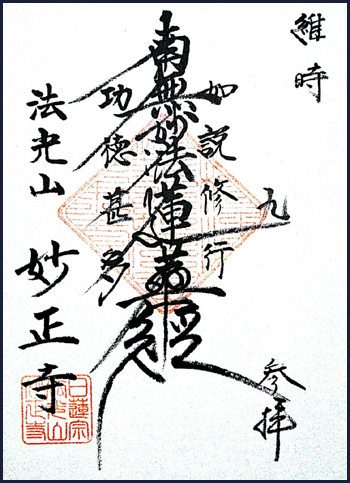 The name of the university refers back to an old Chinese poetry text, 詩経 Shikyo. "to assemble people who will be able to form our country"
Now an expensive residential area with famous universities. The area known as Seijo, in Setagaya Ward, is approximately fifteen minutes by rapid train from the central Shinjuku area, which means Seijo Gakuen is located in a quiet residential neighborhood in comfortable proximity to the city center. The school is also so close to the station that you can even see the university buildings as the train pulls in. This convenience factor makes Seijo an ideal location to commute to for students living off campus. Seijo is surrounded by a lush natural environment, reminiscent of the old natural expanse of the Musashino area, and the greenery here is an unusual occurrence in the city of Tokyo. 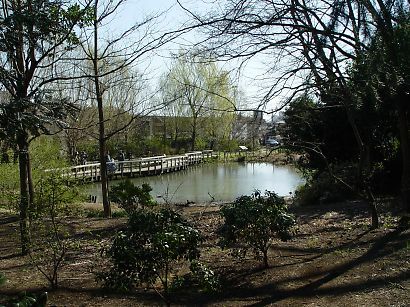 The Seijo Pond site on the grounds has even been listed as one of the 100 Best Views of Setagaya. At Seijo Gakuen, students enjoy nature on a daily basis, which is yet another factor that makes our campus highly conducive to growth and learning. 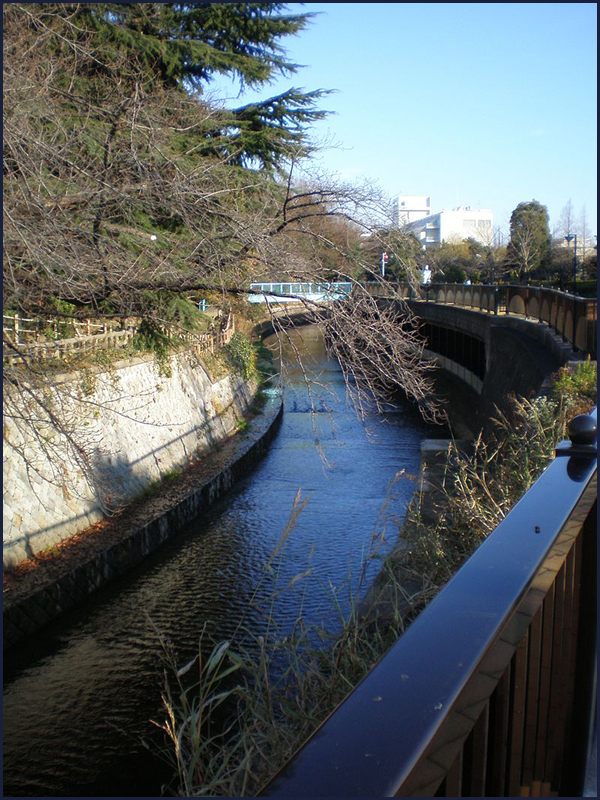 At the present time, Seijo is well-known as a quiet residential area. Seijo Gakuen moved to this barren space in 1925, when the area was called Kinuta Village, Kita-tama, under the jurisdiction of Tokyo Prefecture. Records show that the school purchased and divided the land, upon which the college town was built. 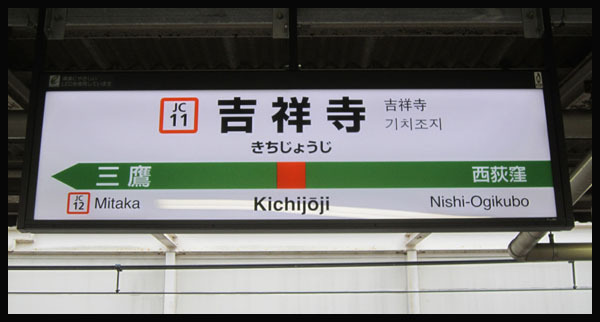 was launched in April 1927, from which time the name "Seijo Gakuen" was used for the station name. In 1936, when the area was absorbed into the Tokyo metropolitan, the district name was changed to "Seijo-machi, Setagaya Ward." "Kinuta Village" thus became "Seijo,"
taking the name of our school. Cherry blossom, gingko, and other seedlings planted by Seijo Gakuen students at the time the school was relocated here now decorate the town throughout the seasons, and are currently something of a local seasonal attraction. Up until the mid-fifties and early sixties, the line of cherry blossom trees stretching north from the North Exit of Seijo Gakuen to intersect with gingko trees was called "Sawayanagi Street," a name symbolic of how integral a part Seijo Gakuen is of the town of Seijo.
. Kōbō Daishi Kūkai 弘法大師　空海 - 伝説　Kobo Daishi Kukai Legends . "Pick me up, pick me up and carry me with you!" He asked who that was and was told it was a statue made by Kobo Daishi. So he took it and venerated it at the 太子堂 Taishi-Do hall. On his way he got entangled in reeds and one stuck into the eye of the statue, which shows the remains of bleeding to our day. And to our day the villagers have 片目が細い one small eye. There is a Taishido Hall to venerate Shotoku Taishi. If someone passes the bridge before the hall on a rainy night, the light of his lantern will be getting off.
. o-inu sama お犬様 "honorable wolf" legends . Near the Hall for Shotoku Taishi, 太子堂 Taishido. there is a sanctuary to venerate the skull of a 山犬 wolf. This area was developed by 村松家 the Muramatsu family. A wolf, messenger of Yamanokami, was trying to show them the way, but they shot him by accident. So he became 家の守り神 the protector deity of the family.
. 五日市街道 Itsukaichi Kaido Highway. .
Itsukaichi-kaido was constructed in the early Edo Period as a route to transport charcoal produced in Akikawa valley to Edo. 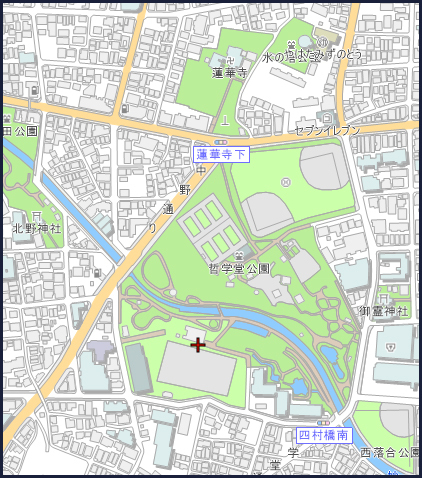 Kichijōji (吉祥寺) is a neighborhood in the city of Musashino in Tokyo, Japan. It is centered on the compact but very popular commercial area to the north of its train station and to the south a little and has an artistic, fashionable, from discount to the highest end shops and restaurants, bars and coffee houses. is served by the Chūō Line which go up to Tokyo central station just in 30 minutes, Sobu Line, Tozai Line and is also a terminus of the Keiō Inokashira Line, which takes passengers as far as Shibuya, another one of most fashionable shopping centers in Tokyo. The area is one of the most popular areas for younger people to spend their weekend, because it features one of Tokyo's most varied and complete shopping areas, as well as the almost constantly crowded Inokashira Park together with its zoo. Supporting the fact of its popularity is that it's been voted to the number 1 place every year where people in Japan wish they would live since 1990s according to poll by a magazine. This town was named after the Kichijō-ji Temple which was located in Bunkyō City, Tokyo, before being destroyed by fire in the year 1657. 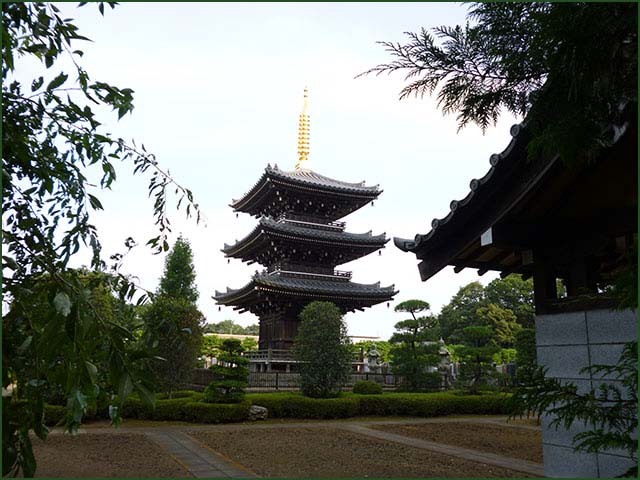 This temple, in turn, derived its name from the Hindu goddess Lakshmi, corresponding to Kisshōten in Japan. the town in front of Suwazan Kichijō-ji Temple gate, Edo's Hongo Motomachi was destroyed by fire. 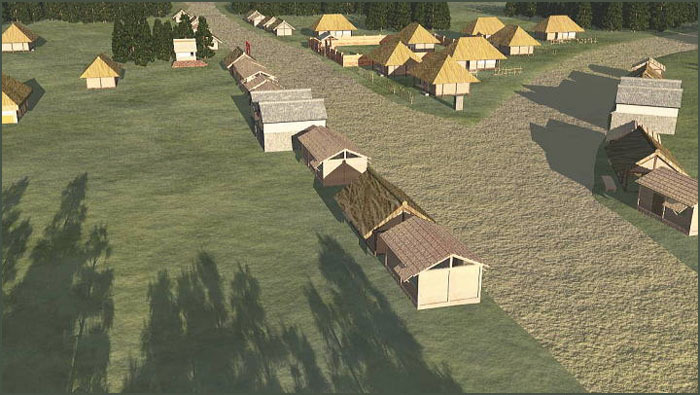 Afterwards, based on town planning, the Shogunate rebuilt the area for Daimyō residences. Since the residents who used to live in front of Kichijo-ji gate had suffered great loss of residence and farm land, the shogunate's official reed lands named "Reno" and "Mureno" were provided as substitute land for them. Those hoping to apply were given a rice stipend and house construction loans with a 5 year limit. Kichijo-ji samurai, 佐藤定右衛門 Sato Sadaemon and 宮崎甚右衛門 Miyazaki Jinemon, in cooperation with local farmer 松井十郎左衛門 Matsui Jurozaemon, opened up the eastern district of present day Musashino and relocated the residents there.
. Inokashira　井の頭 "Head of the Well" .
. Kichijōten 吉祥天 Kisshoten, Lakshmi, Shrii Mahâdevi . Wife of Vishnu in Hindu myths; wife or sister of Bishamonten in Buddhist myths. Around 1675, in Kichijomura in the South of Kyoto, the statue of 吉祥天女 Kichijoten was open for public viewing. Many people from the nearby villages came, chanting the 六斎念仏 Rokusai Nenbutsu prayer. They made a lot of noise with their prayer gongs and prayer drums. Suddenly a huge monster animal came out and run away to hide under the veranda of a village house. They managed to catch it. If had the face of a tanuki 狸 badger and was black from the nose to the top of the front. The neck was white, the back was black and the stomach was white. Its buttocks looked like a tokkuri 徳利 sake container. It had no tail and looked more like a mole. Its back legs were long like that of a dog. For its food it would only eat 串柿 dried persimmons on a stick.
. rokusai nenbutsu 六斎念仏 "six memorial days" prayers .
. Musashino 武蔵野 Musashino Uplands . Kokubunji is a city located in the western portion of Tokyo Metropolis. Kokubunji is located on the Musashino Terrace of western Tokyo, approximately in the geographic centre of Tokyo Metropolis. The area of present-day Kokubunji was part of ancient Musashi Province, and was the site of the Nara period Provincial temple of that province. In the post-Meiji Restoration reform of 1878, the area became part of Kita^Tama District in Kanagawa Prefecture. The village of Kokubunji was created on April 1, 1889 with the establishment of municipalities law. Kita-Tama District was transferred to the administrative control of Tokyo Metropolis on April 1, 1893. Kokubunji was elevated to town status in 1940, and to city status on November 3, 1964.
. Kokubunji 国分寺 Kokubun-Ji temples . 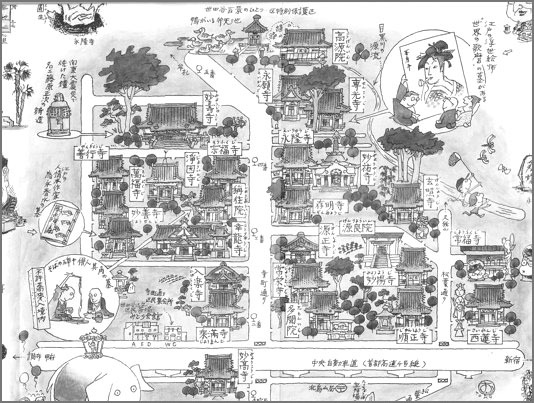 A system of regional provincial temples everywhere in Japan, established by Emperor Shomu Tenno (701 – 756) ). Koigakubo, Koi-ga-kubo 恋ヶ窪 "cave of love"
It is located on a plain and has rich water supplies, including the river 野川 Nogawa from Higashikoigakubo, flowing into the river 摩川水 Tamagawa. In the many ponds of old lived koi 鯉 carp fish, giving a name to the area, 鯉ヶ窪 "hollow with carp fish". The city used to be a postal station along the Kamakura Kaido Highway with many red-light districts. The name might also relate to a story around 1200. 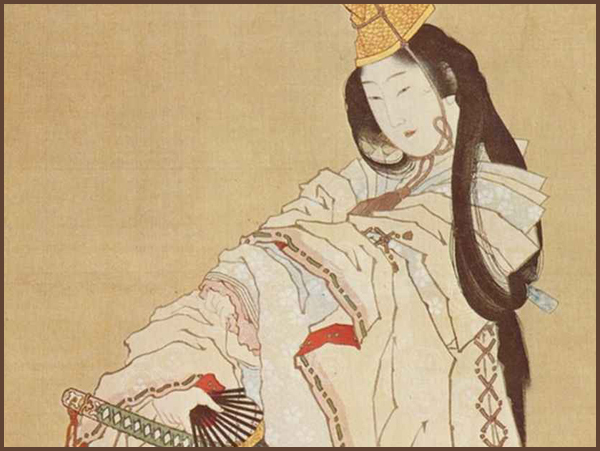 This is the love story of Hatakeyama Shigetada and the courtesan 夙妻太夫 Asazuma Dayu. Shigetada was the lord of the land, but Asazuma was just a very beautiful prostitute of the village. 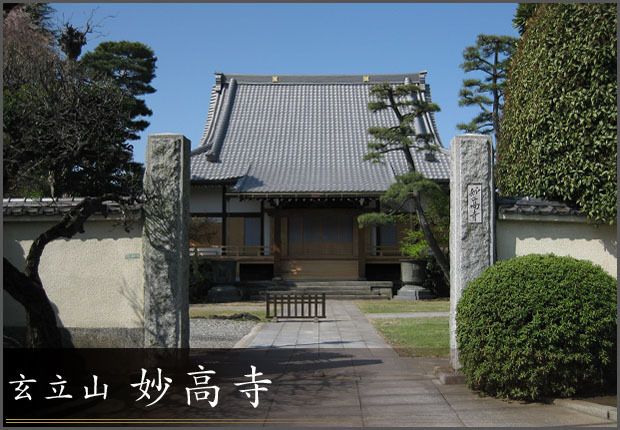 Shigetada's main residence was in 埼玉県大里郡川本庁 Saitama and on his way to and from Kamakure he stopped here to see his beloved. Then Shigetada was ordered to go to Western Japan to fight. When he told Asazuma about his absence, she felt she would never see him again and was very sad. She begged him to take her with him. This was not possible so she remained here, crying all day long. Another visitor fell in love with Asazuma, but she did not accept him as her lover. 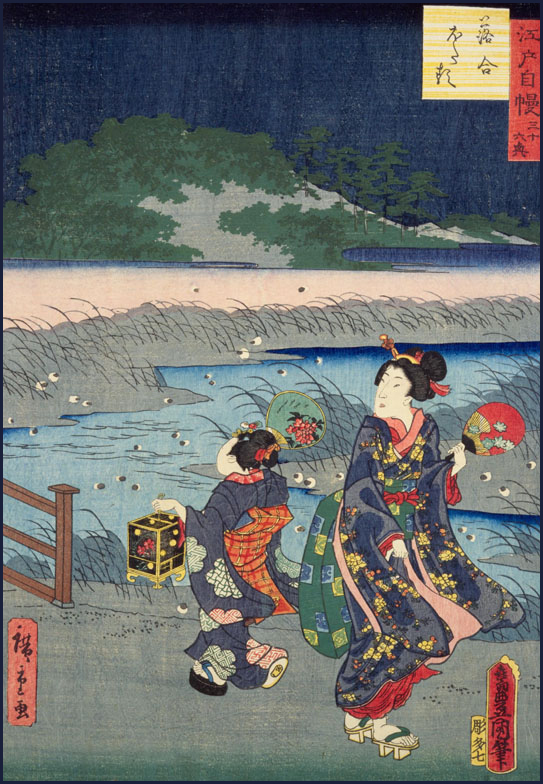 When she heard of the death of Shigetada, she was overcome with grief and threw herself into the pond 姿見の池 Sugatami no Ike. She was buried near the pond and a pine tree grew near her grave. This tree stretched all its branches to the West, as if to find her lover far away. 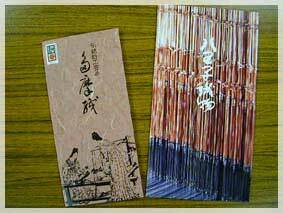 The pine needles had 一葉 only one needle, an expression of her singular love for Shigetada. 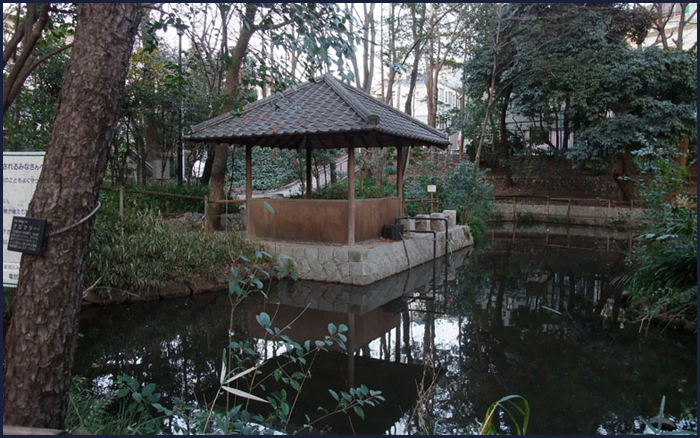 The pond has been filled in 1965, but was reopened in 1998, now called 遊水地 Yusuichi. - You might have guessed, Shigetada had not died at all and eventually came back. 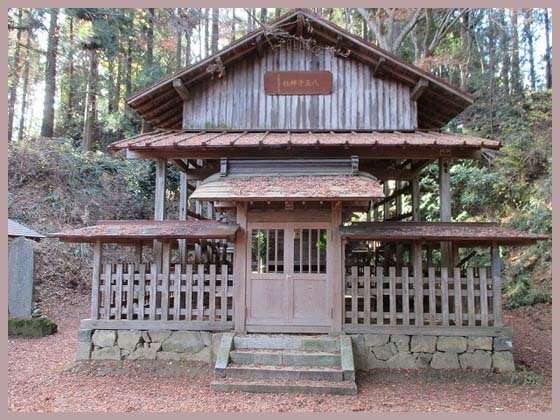 When he learned the fate of Asazuma, he grieved and built a small temple for her, named 無量山道成寺 Dojo-Ji. He had a statue of Amida Nyorai made and prayed there every day. Koigakubo thrived since ancient times as an inn post on the highway which links the Tōhoku and Hokuriku Regions to Kyoto and Kamakura. Sugatami-no-Ike pond was a place around here where a prostitute named Asazuma Dayū drowned herself overwhelmed by her sorrow when she heard the news that Hatakeyama Shigetada, a warlord who loved her dearly, had been killed in a battle. The pine tree of matchless beauty is a burial mound for Asazuma and Amida-dō hall is said to have been built for Shigetada who died in the war and there remained many historic spots related to Shigetada and Asazuma in Koigakubo.
. Hatakeyama Shigetada (畠山重忠, 1164–1205) . Originally fighting for the Taira clan, he switched sides for the battle of Dan-no-ura, and ended the war on the winning side. Koigakubo Station is a railway station in Kokubunji, Tokyo. It is operated by the private railway operator Seibu Railway. It was opened on 10 February 1955. 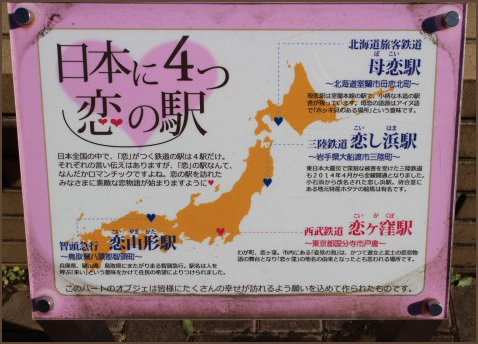 There are only four station names that start with koi 恋 love. 深沢山 Mount Fukasawayama (445 m). He sat in a cave and meditated, not paying attention to the strong disturbing wind, thunder and all kinds of heavenly distractions, which came and went like mist and fog. Myogyo kept meditating and reciting the Sutras. "Wake up, please!" The serpent opened its eyes and left quietly. "My children and myself have great respect for your virtues! You may use all the land to spread the good words and we will protect all the people on it. I am the deity Gozu Tenno and these are my eight children." Myogyo continued his meditation and in 916 proclaimed Fukasawayama as 天王峰 Mount Tenno-Mine　and the eight peaks around it as 八王峰 Mount Oji-Mine. He built a sanctuary on each one and spread the belief in Gozu Tenno and his Hachi Oji in all parts. Then he built a temple at the foot of Mount Fukasawayama, which became quite large within time. The name of the temple is 牛頭山神護寺 Gozusan Jingo-Ji. 八王子神社 Hachioji Jinja and 八王子権現社 Hachioji Gongensha.
. 牛頭天王 Gozu Tenno - Heavenly King with an Ox-Head . The area of present-day Hachiōji was part of ancient Musashi Province. 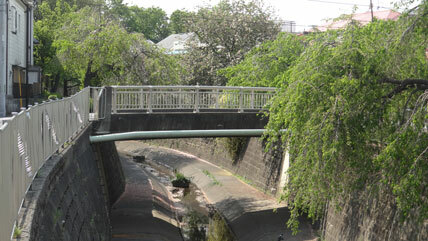 It has been an important junction point and post town along the Kōshū Highway, the main road that connected the historical Edo (today's Tokyo) with western Japan. Hachiōji Castle was built during the Sengoku period in 1584 by Hōjō Ujiteru, but was soon destroyed in 1590 by Toyotomi Hideyoshi. During the Edo period, the area was Tenryō controlled directly by the Tokugawa shogunate. In the post-Meiji Restoration reform of July 22, 1878, the area became part of Minamitama District in Kanagawa Prefecture. The town of Hachiōji was created on April 1, 1889, with the establishment of municipalities law. Minaitama District was transferred to the administrative control of Tokyo Metropolis on April 1, 1893. Hachiōji gained city status on September 1, 1917.
. Kōshū Kaidō 甲州街道 Koshu Kaido Highway .
. Kongooin 金剛院 Kongo-In .
. Shooeizan 松栄山 Shoeizan 了法寺 Ryoho-Ji . This temple in Hachioji near central Tokyo belongs to the Nichiren sect.
. Tama-ori, Tama Ori 多摩織　Woven Fabrics from Tama . In Hachioji, which was known as the "City of Mulberries," sericulture (the raising of silkworms) and textile manufacturing have both long flourished; and these factors have contributed to the continued weaving of various textiles in the area.
. 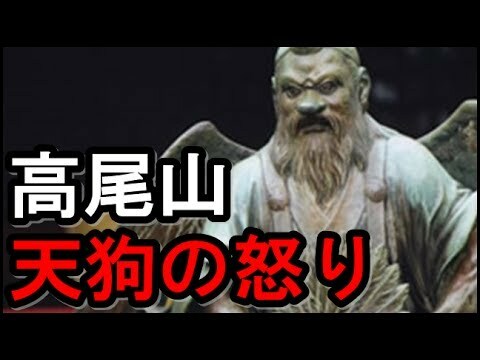 Legends about Mount Takao-San and its Tengu 天狗 . Once the farmer 小松の高さん Komatsu no Taka-san, who had been ill for many years was suddenly spirited away. About two weeks later he came home in a rikshaw, all the way from Mount Takaosan. But now he had become quite crazy and lost his mind completely.
. hikarimono 光り物 great light .
. Hachioji sennin dooshin 八王子千人同心 1000 officials from Hachioji . There are 26 temples in the area. The area is called the Little Kyoto of Setagaya ward 世田谷の小京都. The Great Kanto Earthquake of 1923 brought a virtual tidal wave of displaced refugees, and a flotilla of temples as well. Setagaya’s population nearly doubled, and Teramachi, or “temple town,” near Chitose-Karasuyama, offered land on which 26 temples damaged in the quake were rebuilt. A variety of Buddhist sects are represented, and one temple, Senkoji, sequesters the grave site of world-renowned ukiyo-e artist Kitagawa Utamaro. The hush over the area is eerie beyond words. 今村紫紅 Imamura Shiko (1880 - 1916), 小村雪岱 Komura Settai (1887 - 1940), and 川之辺一朝 Kawanobe Itcho (1830 - 1910), a lacquer artist.
. 金剛山 Kongozan 悲願寺 Higan-Ji 多聞院 Tamon-In . The temple was originally located in Kaga and called Rinsho Temple. 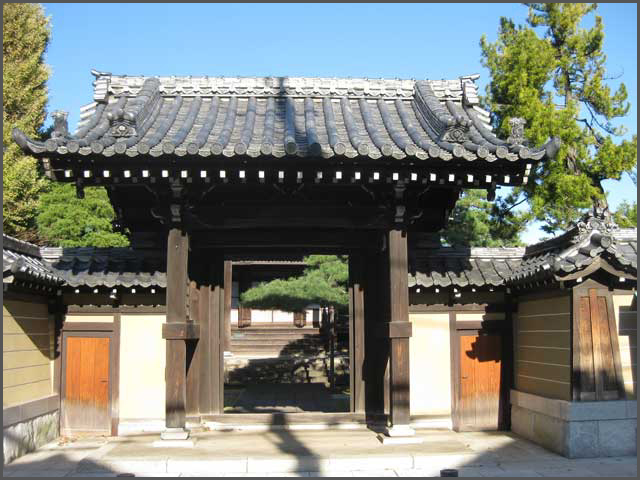 After moving to Setsu, Fushimi, Suruga then Edo, it changed its name to Joman Temple. It moved to Karasuyama in 1924. In the Edo period the temple had many patrons among 江戸期は幕臣関係の檀家 the vassals of the shogun. It was built in Hiramatsu-cho, Nihonbashi in 1648. After being moved to Matsuyama-cho, Asakusa, it was burnt down in the Great Kanto Earthquake. It moved to Karasuyama in 1927. The buildings were all burnt in the Great Kanto Earthquake except for the principal image and the necrology. It moved to Karasuyama from Tsukiji in 1924. There are the remains of a foundation stone of 菊田伊州 Kikuta Ishu (1791 - 1852), a Japanese-style painter. a master of foundry in the Edo period, which were chosen as cultural assets. 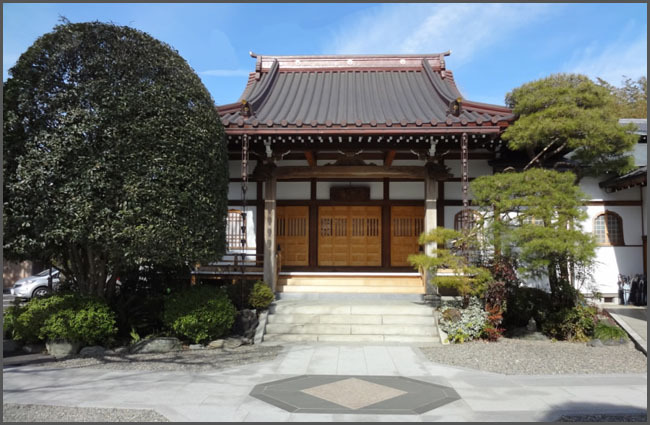 The temple was originally built as a prayer hall for the Tokugawa family. It moved to Hamamatsu, Suruga, Yushima then Asakusa. It was damaged in the Great Kanto Earthquake. Its relocation to Karasuyama began in 1927 and was completed in 1940. 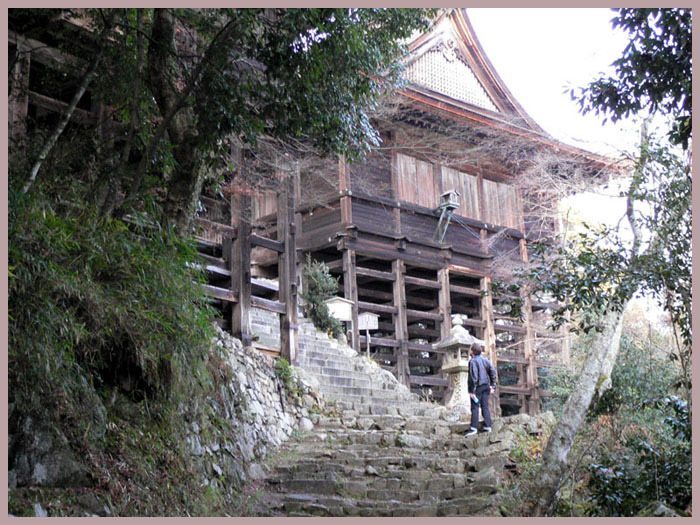 The temple was built at Sakurada-mon in the early Edo period. It moved to Azabu in the Meiji period, then to Karasuyama in 1927 after the 1923 earthquake. Teachings written by the chief priest are on display at the gate, and they are changed from time to time. The temple features a dining facility for needy children, Zonmyōji Kodomo Shokudō - Cafeteria. The temple was built in Yushima in 1596, then moved to Asakusa. It moved to Karasuyama in 1927 after the 1923 earthquake. 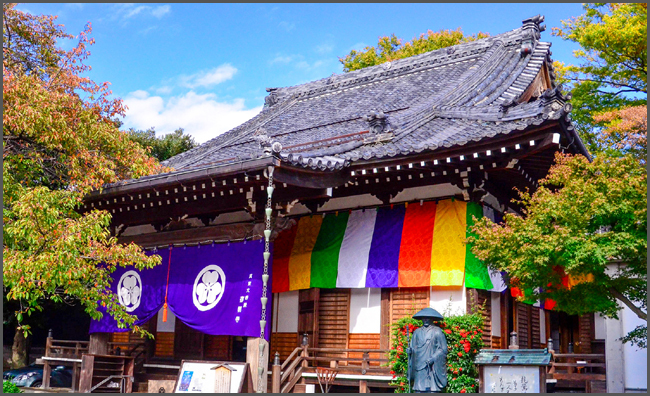 The temple was built in Shibuya in 1625 with the statue of 阿弥陀如来 Amida Nyorai which was dug out from the ground. It moved to Karasuyama due to the construction of the Ginza Line in 1937 and the re-zoning plan in 1949. They have a unique main building which was built in the Indian style. 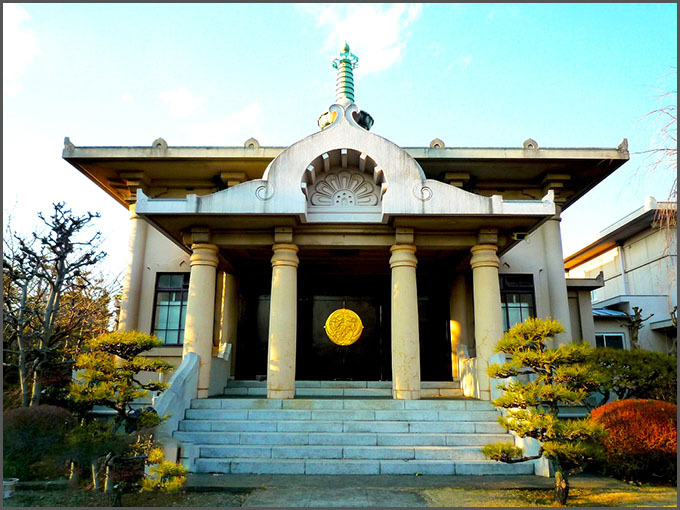 The temple moved to Karasuyama from Nippori after the 1923 earthquake. 日義上人 Nichiyoshi, a holy priest who taught the game of go to Tokugawa Ieyasu, built the temple in Kanda. 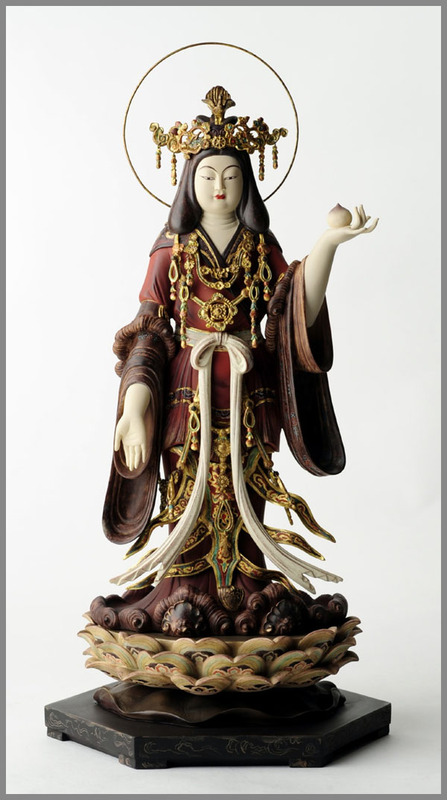 Daikoku, a stone statue as the temple’s treasure, was given to the temple by お万の方 O-Man, one of Ieyasu’s concubines. The temple moved to Yanaka, Honjo, then to Karasuyama in 1928 after the 1923 earthquake. There is a grave of 三遊亭圓生 Sanyutei Ensho (1839 - 1900), a Rakugo comic storyteller who was designated as a living national treasure. The temple used to retain a grave of the 福岡黒田藩士 Kuroda family, who were clansmen in Fukuoka. It moved from Azabu to Karasuyama in 1924. The temple was originally built around Yokoyama-cho, Chuo-ku in the early Edo period, then moved to Tsukiji due to the large fire in the Meireki period. It moved to Karasuyma after the 1923 earthquake. The temple was built in Hamacho in the early Edo period, then moved to Tsukiji during the Meireki period. It moved to Karasuyama after the 1923 earthquake. 北条家家臣菅原正円 Sugawara Shoen, a vassal of the Hojo family, was converted to Buddhism, became a pupil of Shinran and built a thatched cottage in Ise. It is said to have been the origin of the temple. It moved to Tsukiji near the fish market, where the priests were engaged in missionary work. So they have many believers among fish market workers. It moved to Karasuyama in 1927. Fujiwara Shoji, a master of foundry, which was partly burnt in the 1923 earthquake. The guest room was relocated from the former house of the 鍋島侯爵邸 Prince Nabeshima. 正隆廟 Shoryubyo, a hall to worship for future generations was newly built in 2000. The temple was originally built in Shinagawa, and moved to Bakurai-cho, then Asakusa. It moved to Karasuyama in 1927 after the 1923 earthquake. The main building and the monks’ living quarters were burnt due to the air raid in 1945. The main building was re-built in 1958. There is a grave of 喜多川歌麿 Kitagawa Utamaro (1753 - 1806), an ukiyo-e artist. 越後の堀家家臣浄順 Jojun, a vassal of the Hori family in Echigo became a priest and built the temple in Kanda. It moved to Asakusa. The buildings were damaged by the 1923 earthquake, but its principle image Amida statue and the necrology were saved from the fire. 久留米藩有馬家 有馬頼元 Arima Yorimoto (1654 - 1705), the fourth lord of the Kurume domain, was converted to Buddhism and built the temple in Shinagawa. 怡渓和尚 Ikei, the first priest of the temple, mastered the tea ceremony. The Ikei division of the Ishikawa school still exists. The temple moved to Karasuyama in 1926. Its pond, Benten-ike, is known as a spot where wild ducks come and stay. 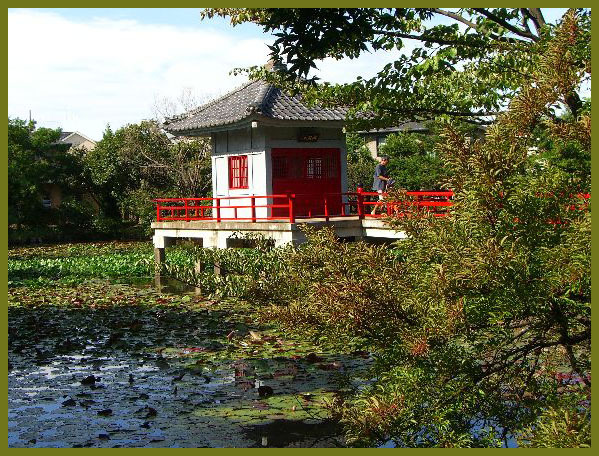 In the center of the pond, there is a little shrine, 浮御堂 Ukigodo, which enshrines 宝生弁財天 Hosho Benzaiten. The temple moved to Karasuyama from Asakusa in 1925 due to the 1923 earthquake. It used to be a temple for trainee monks. It enshrines 火伏観世音 Hifuse Kanzeon Bosatsu, which was believed to protect the Edo towns from further damage from the fires. The temple moved to Karasuyama from Yanaka Imosaka in 1928. 日延上人 Nichien, a priest brought up by 加藤清正 Kato Kiyomasa, built the temple in Shiba Shirogane. It moved to Karasuyama in 1927. There is a grave of the 戸川 Togawa family of the Niwase domain and a statue of 鬼子母神 Kishibojin, the goddess of childbirth and children. The temple was built in Asakusa in 1511, then moved to Karasuyama in 1928 due to the 1923 earthquake. In the precincts there are porcelain 狸 Tanuki racoon dogs in all sizes, which symbolize wealth and happiness. 高柳山 With a statue of Amida Nyorai by 恵心僧都 priest Eshin Sozu (Heian period). 宗誓上人 Shusei, born into a samurai family, became a priest and built the temple in Sakurada-mon. It moved to Toranomon, Mita, then to Karasuyama in 1939. There is also a unique temple gate with tsuijibei 築地塀 Tsuiji-style fence.
. tsuijibei 築地塀 Tsuiji fence - Introduction . 日比谷の入江 Hibiya no Irie inlet. 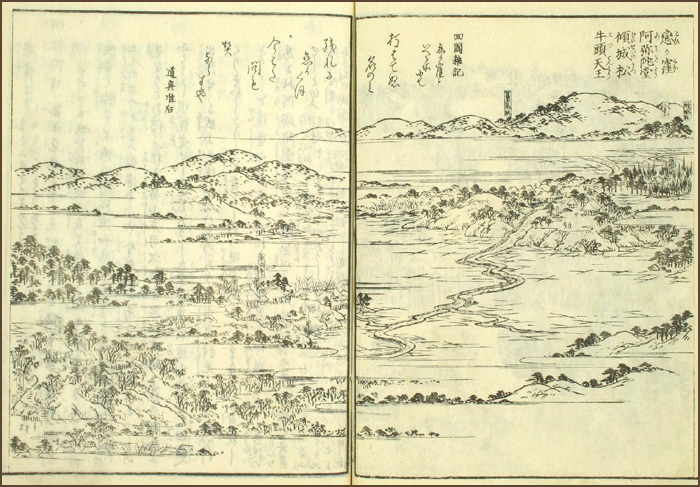 Edo 江戸 means "estuary", lit. "inlet door", "entrance to the inlet".
. Hibiya 日比谷 / 比々谷 district in Edo . 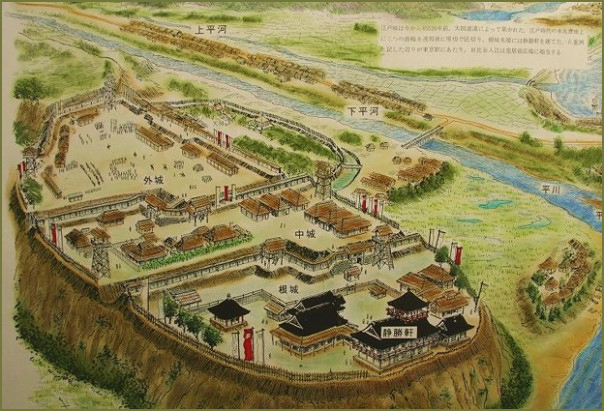 and first fortified the settlement known as Edo, which would later become Tokyo. The Imperial Palace now stands at this location. During the Azuchi-Momoyama period, the clan was renamed the 武蔵喜多見氏 Musashi Kitami clan. 江戸重継 Edo Shigetsugu (Chichibu Shigetsugu) moved south and fortified the little hill at Edo, located where the Sumida River enters Tokyo Bay. This area later became the Honmaru and Ninomaru portions of Edo Castle. There, the Edo grew in military strength under the second patriarch, Edo Shigenaga. In August 1180, Shigenaga attacked Muira Yoshizumi, an ally of the rival Minamoto clan. Three months later, he switched sides just as Minamoto Yoritomo entered Musashi. Shigenaga assisted the Minamoto in overthrowing the Taira in Kyoto. 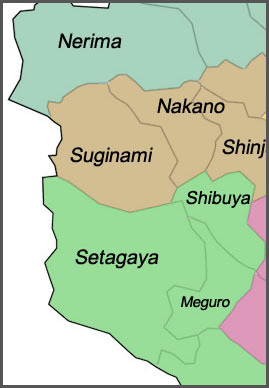 In return, Yoritomo granted Shigenaga seven new estates in Musashi Province, including Kitami in what is now Tokyo's western Setagaya Ward. Records show that in 1457, Edo Shigeyasu surrendered his main base at Edo to Ota Dokan. Dokan was a vassal of the powerful Ōgigayatsu branch of the Uesugi clan under Uesugi Sadamasa. Sadamasa was the Kanto-Kanrei for the Ashikaga. Dokan built Edo castle on the site. The Edo clan then moved to Kitami. In 1593, in a pledge of obedience to Tokugawa Ieyasu, Edo Katsutada changed the clan name to Kitami. Katsutada was employed by the first and second Tokugawa shoguns, reaching the position of Magistrate of Sakai, south of Osaka. Katsutada's grandson-in-law, Shigemasa, found favor with the fifth shogun Tokugawa Tsunayoshi. 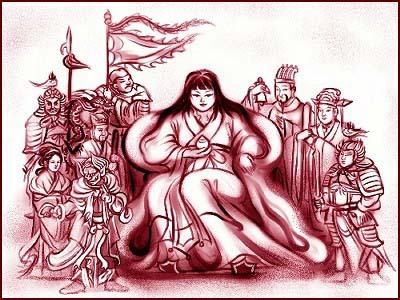 He rose from the position of hatamoto, with a stipend of one thousand koku, to sobayonin, or "Grand Chamberlain", with a stipend of twenty thousand. It was an influential post, responsible for relaying messages between the shogun and his senior councilors. He was also awarded a large domain in 1686. However, the clan's fortunes suddenly plummeted. In 1689, Shigemasa's nephew violated the Shogunate taboo on bloodshed. Shigemasa had to forfeit his status and property and was banished to Ise, where he died in 1693 at age 36. The 500-year-old Edo clan essentially ceased as a recognized clan. 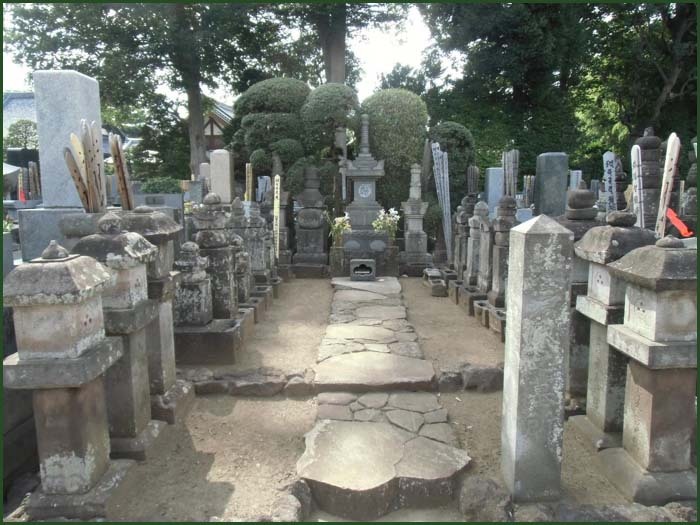 Tombstones of several generations of the clan are at 慶元寺 Keigen-Ｊi, a Buddhist temple founded in 1186 by Edo Shigenaga, in Kitami. The name later changed to 常陸江戸氏 Hitachi Edo-Shi. was the second head of the Edo clan. He first settled and lent his name to the fishing village Edo that eventually grew to become Tokyo. He was also known as Edo Taroo 江戸太郎　Edo Taro. In 1180, Shigenaga was asked by Minamoto Yoritomo to cooperate in his uprising against rule of the Taira in Kyoto. Hesitant at first, Shigenaga eventually helped Yoritomo overthrow the Taira rule. Yoritomo granted Shigenaga seven new estates in Musashi Province, including Kitami in what is now Tokyo's western Setagaya Ward. Four centuries before Tokugawa Ieyasu arrived at Edo, a fierce band of mounted warriors had already fortified the hill where Ieyasu would build his magnificent Edo Castle, and on which the Imperial Palace now stands. In the late 12th century, the Edo clan, as these warriors called themselves, had moved south from Chichibu in present-day Saitama Prefecture led by their patriarch, Edo Shigetsugu. Seizing Edo, they rapidly built up their military presence in the southern Kanto Plain to such a point that, in 1180, Shigenaga, the second clan head, was asked by Minamoto Yoritomo (1147-99) to cooperate in his uprising against the great Taira family in Kyoto. Shigenaga was not easily persuaded, but eventually lent his power to Yoritomo in overthrowing Taira rule. 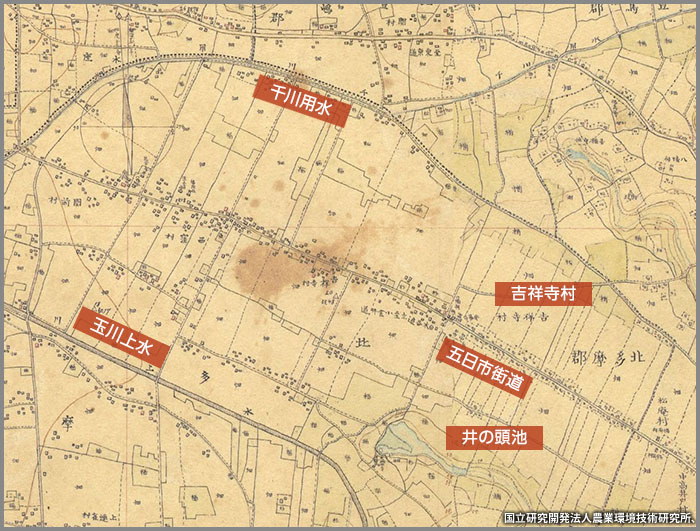 In appreciation, Yoritomo granted Shigenaga seven new estates in Musashi Province, including Kitami in what is now Tokyo’s western Setagaya Ward. Little is known about the Edo clan in the turbulent Kamakura Period that began with Yoritomo’s founding of a shogunate in that city in 1192; nor do we know of their fate during the Kyoto-based shogunate known as the Muromachi Period, that ran from 1338-1573. However, records show that in 1457, Edo Shigeyasu surrendered his main base at Edo to Ota Dokan (1432-86), a vassal of Uesugi Sadamasa, Governor of the Kanto Plain, and moved to Kitami. Dokan then built a castle on the site with views of Mount Fuji and Edo Bay, before being killed by an assassin sent by his own master in 1486. The castle was then abandoned until it was taken over by Ieyasu in 1590. In a pledge of obedience to Ieyasu, Edo Katsutada changed the clan name to Kitami in 1593. Katsutada was employed by the first and second shoguns, reaching the position of Magistrate of Sakai, south of Osaka. His grandson-in-law, Shigemasa, bathed in the special favor of the fifth shogun and rose to the rank of daimyo by 1682. Promoted to a sobayonin (grand chamberlain), whose influential role was to relay messages between the shogun and his senior councilors, he was awarded a further large domain in 1686. From this zenith of happiness, however, Shigemasa’s fortunes plummeted — and with them, those of the Edo clan. In 1689, Shigemasa’s nephew violated the shogunal taboo on bloodshed and the family was held collectively responsible. As punishment, Shigemasa forfeited his status and all property and was banished to Ise, where he died in 1693 at age 36. His kin was similarly punished, and with that the 500-year-old Edo clan vanished. To this day, however, memories of the first possessor of Edo linger on at Keigen-ji in Kitami, Setagaya Ward, an impressive Buddhist temple founded in 1186 by Edo Shigenaga. Tombstones of several generations of the clan, some quite eroded but others recently renovated, huddle together in a corner of the graveyard, tied eternally by their invisible bond of kinship. Apart from the main temple hall, it has a 鐘楼 bell tower and a 三重堂 three-story pagoda. Edo Taro Shigenaga founded this temple, then called 岩戸山大沢院東福寺 Tofuku-Ji in 1186, which then belonged to the 天台宗 Tendai sect. 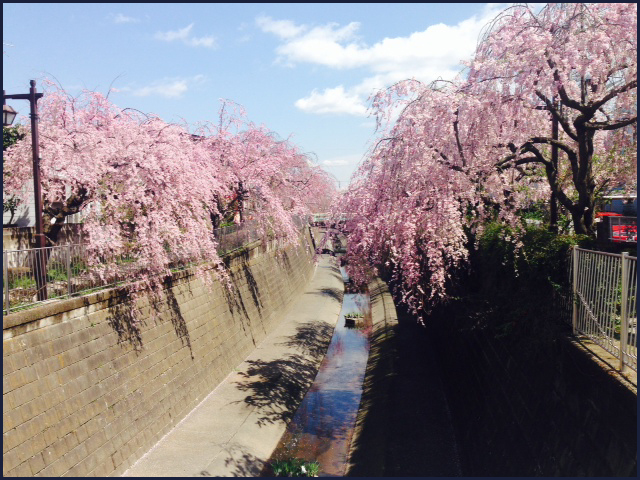 In 1451 it was relocated to 成城(元喜多見） Seijo (Moto Kitami) and found its final place in 1468. 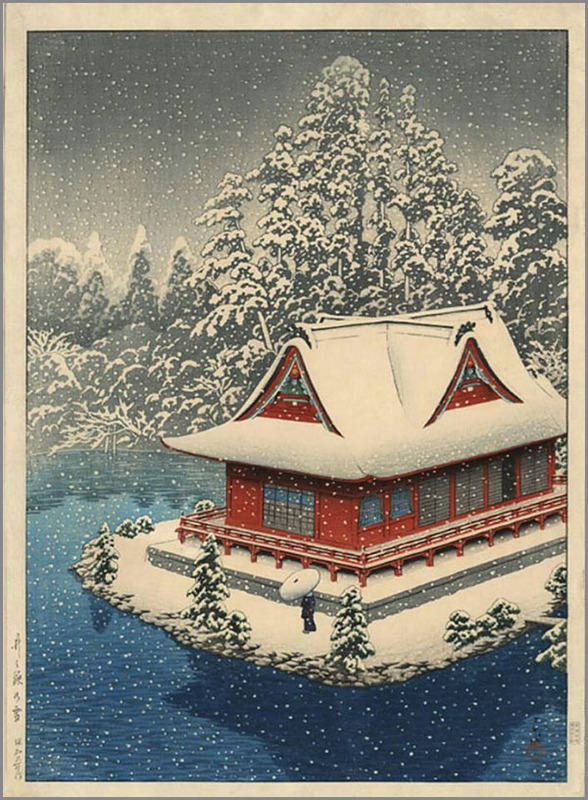 In 1540, the priest 空誉上人 / 空与（空與）/ 空与守欣上人 Kuyo Shonin revitalized the temple, which had lost its importance. The name changed 上山華林院慶元寺 and now it belonges to the Jodo Sect. 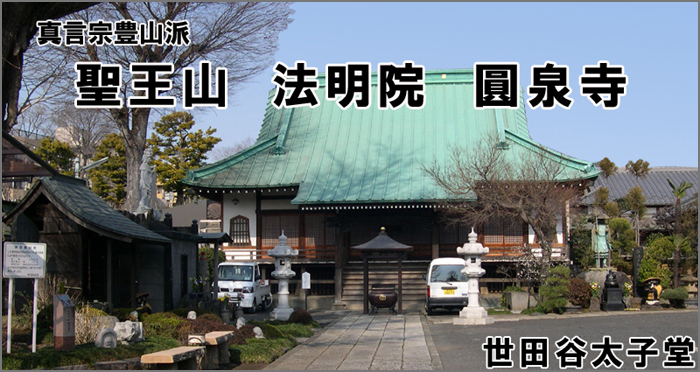 In 1636, Shogun Iemitsu awarded the temple with land of 10石 (about １ha（10000㎡), annexing 6 temples in the neighborhood. Number 4 in the pilgrimage to 33 Kannon temples along the Tamagawa 多摩川三十三ヶ所観音霊場. on the Odakyu Railway Line, on the border between Setagaya Ward and Komae City. is thought to originate from an ancient Ainu word meaning "flat, wooded place". 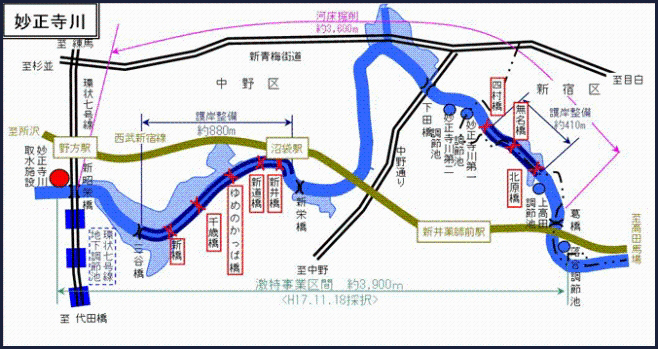 ... Kofun Period (200-500 AD) : It seems that around the 300’s, Kantō became a vassal state of the Yamato Court. There are more than 200 Kofun in the Tōkyō Metropolis. ... In 1693, the direct family line, no longer Edo but Kitami, was extinguished after the banishment of Kitami Shigeyasu to Ise when his grandson murdered somebody or something. ... At the height of Tokugawa power, the castle is said to have been the biggest in the world and the city was likely the most populous.
. Oota Dookan 太田道灌 Ota Dokan (1432 - 1486) . 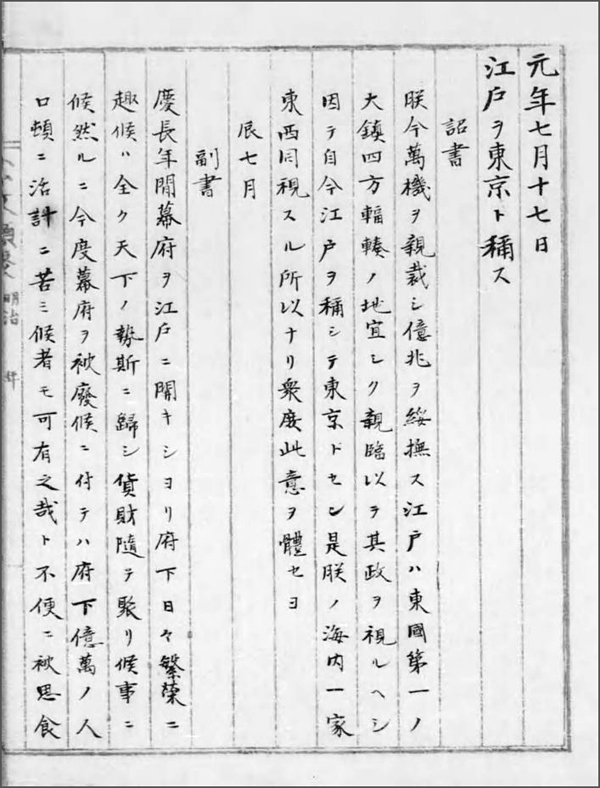 Imperial Edict Renaming Edo to Tōkyō. "I at this time settle all matters of state myself in the interest of the people. I should personally oversee its governance. Therefore from this time on I shall call it“Tokyo”(Eastern Capital). This is so that I might oversee all affairs in the land equally, from east to west. Let the people heed this my will."